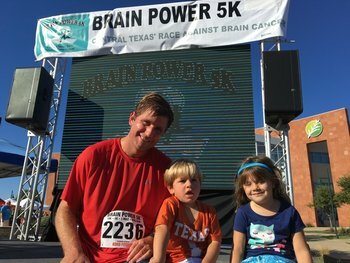 Austin, TX – We are proud to have sponsored of the 2016 Brain Power 5k, an annual charity race dedicated to raising awareness and funding research for brain cancer. The race was started by a brain cancer survivor who saw a need to honor those afflicted by the disease and raise desperately needed funds for research. Together with the Dr. Marnie Rose Foundation, the Brain Power 5K will help fund research at the University of Texas MD Anderson Cancer Center. In addition, proceeds from the event will go to support brain cancer patients and survivors. The 2016 Brain Power 5K was a huge success – we had a great time participating and we look forward to heading back next year.